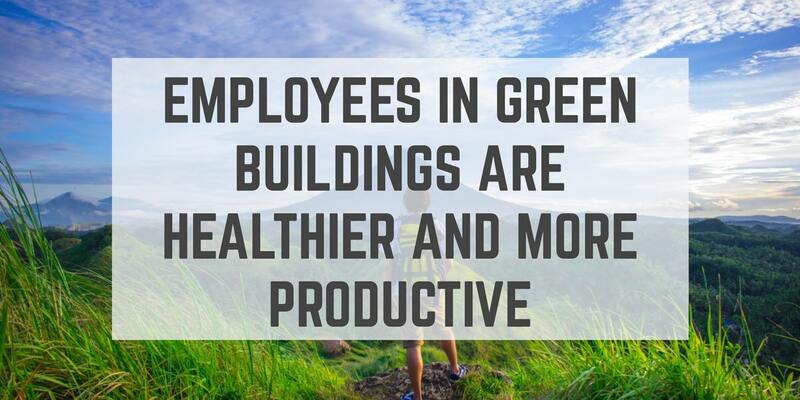 A recent survey conducted by the U.S. Green Building Council (USGBC) has confirmed that workers and occupants of LEED Certified Green Buildings are happier, healthier, and more productive than their counterparts. A new study has revealed that office workers are not only happier and more productive in LEED-certified green buildings, they consciously prefer and seek out employment with organizations operating out of these types of facilities. [...] results showed that people’s decisions were influenced by whether or not the workplace was in a LEED-certified building. More than 90 percent of respondents in LEED-certified green buildings say they are satisfied on the job and 79 percent say they would choose a job in a LEED-certified building over a non-LEED building. More than 80 percent of respondents say that being productive on the job and having access to clean, high-quality indoor air contributes to their overall workplace happiness and comfort, and improves their physical health. Plus, 85 percent of employees in LEED-certified buildings also say their access to quality outdoor views and natural sunlight boosts their overall productivity and happiness. Additionally, the positive impact of working in a green building is demonstrable among demographics with pre-existing medical conditions. [...] employees who suffer from asthma and respiratory illness could provide 1.75 additional hours of work each year thanks to health improvements achieved by working in a green building. Interesting, those who reported having suffered from depression and stress in the past might gain as many as 2.02 additional work hours per year. Environmental - Green buildings have an enormous potential for reducing greenhouse gas emissions (an estimated 84 gigatonnes of CO2 by 2050) and reducing resource use--specifically potable water, by as much as 51% (varied by market), as well as using, on average, 25% less energy than their conventional counterparts. Social - Studies have shown that occupants of green-certified buildings improved cognitive function by as much as 101%, increased efficiency by approximately 8%, as well as sleep by as much as 46 minutes per night, simply by working in an office with a window. A full reconstruction or corporate relocation is likely not in the cards for most schools or businesses. Biophilic Design - Bringing nature indoors by providing windows that overlook natural settings and provide sunlight, combined with live plants liberally placed throughout the workspaces has a demonstrably positive impact on occupant health and performance. Healthy Workplaces - The availability of gyms or outdoor locations to walk or sit and think away from the bustle of the office, healthy food alternatives, and the encouragement of alternative transportation, such as riding a bike to work, all have been shown to reduce stress and illness that contributes to increased absenteeism and healthcare costs. How Much of an Impact Do Green Building Designs Really Have on the Environment? From a corporate or educational administrative position, certified green buildings make financial sense. However, the introduction of live plants, shared workspaces, gyms, and the allowance of bicycle storage will create new challenges for the custodial staff, tasked with maintaining the health and safety of all building occupants, and the services of an experienced janitorial provider are highly recommended. If you would like more information regarding the health, safety, and performance improvements for the occupants of LEED-certified green buildings, or desire assistance with implementing and managing your organizations LEED requirements--contact us today for a free quote!